Dr. 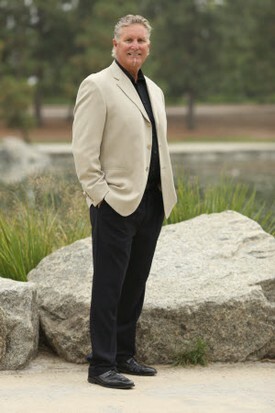 Keen was born and raised in Southern California, living in the Rancho Cucamonga area since 1990. He graduated with a biology degree in 1985 from USC, and graduated USC Dental School in 1989, following his passion for cosmetic dentistry. Dr. Keen’s ultimate mission is to deliver the highest quality dentistry for his patients in a gentle, caring environment. He has been in his Alta Loma office for over 20 years, dedicating his efforts to helping patients achieve healthy, happy smiles. Dr. Keen is a member of the Tri-County Dental Society, the American Dental Association, the California Dental Association and is an active member in his community, often sponsoring his patient’s sports teams.. He is also a member of the Mt. Baldy Study Club, which convenes monthly and whose members are committed to dental excellence through the latest education and cutting edge dentistry. When he’s not in the office, Dr. Keen takes pride in being a family man. He loves spending time with his wife, Diana, and their two sons Bryce and Blake. Together they enjoy golfing, motorcycle riding, camping and boating in Lake Havasu. Wanting to follow in their father’s footsteps, Bryce will be entering USC Dental School in the fall of 2016 and Blake is a pre-dental student at the University of LaVerne.